Since the suggestion made by “The Grapevine” in the late 60’s that “Open Discussion” (OD) meetings might be a good idea, there has been a change in the message being presented in the rooms from a focus on the Program of Alcoholics Anonymous to “group therapy” where anyone and everyone is privileged to speak on whatever might be on their mind. The result of this has been a severe decline in the success rate of alcoholics finding lasting recovery. We hear a lot of stuff said in meetings that can’t be reconciled with the program as described in the Big Book of Alcoholics Anonymous. 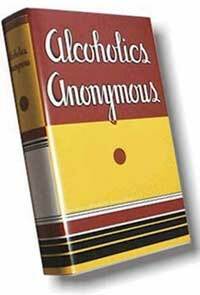 Here is a list of the opinions, perspectives, and slogans we often hear in rooms and what the our original Big Book of Alcoholics Anonymous basic text (4th Edition) has to say about it. Page 20, paragraph 2: “Doubtless you are curious to discover how and why, in face of expert opinion to the contrary, we have recovered from a hopeless condition of mind and body. “We must change playmates, playgrounds, and playthings” — “Avoid people, places and things that you associate with alcohol or drugs”.